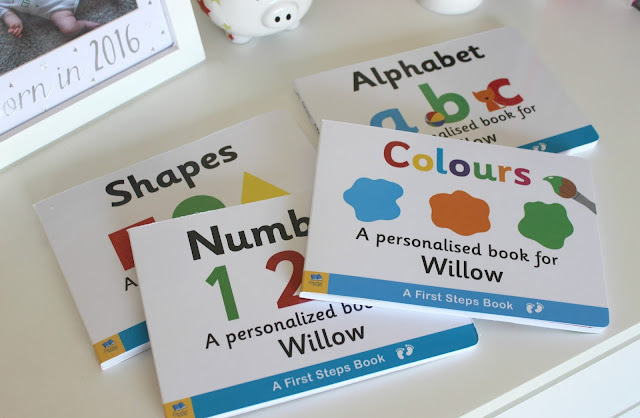 The Personalised Children's Board Books caught my eye because each book concentrates on one thing that we can help our little ones learn as they start out, and these books are beautifully presented and colourful so will be eye-catching for curious eyes. 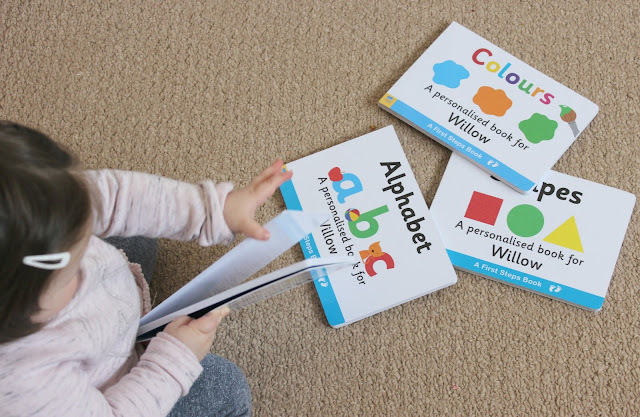 There are four books in the range in total; Colours, teaching all the colours of the rainbow, Shapes, helping them to identify different shapes, Numbers, a fun way to learn your numbers up to 10 and Alphabet, another great one that teaches the alphabet using lots of fun little pictures. Each can be personalised, and not just with your little one's names on the cover or the first page, but all throughout the book from the pictures to the text throughout the books, all of it is personalised with your little one's name. You can use a name which is up to 12 characters long, which will be on the cover of the book as well as be used throughout the book. You can also add a little message (80 characters long), which can be on the title page and a nice little way to make them into a really special keepsake. 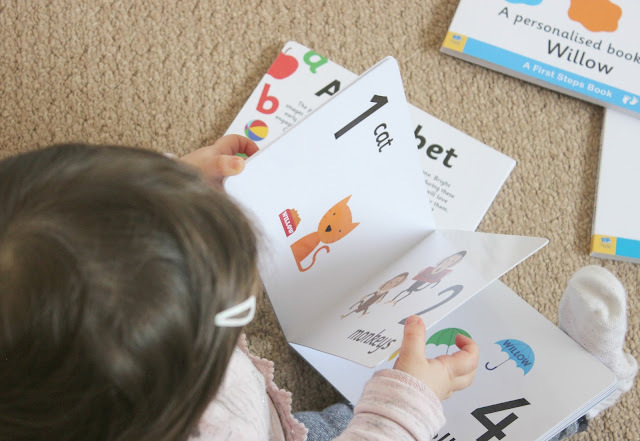 Each book is both educational and fun because it uses such lovely bright colours and fun little hand-drawn illustrations, they're much nicer than any books I had for learning numbers and letters as a child! I really like that you can pick a little message to go inside each book, and Willow's books have messages like "We hope you enjoy your colourful book!" and "Let's count all the ways we love you!". The little pictures really are lovely and it's a nice way for her to associate specific words for things with the pictures alongside them. 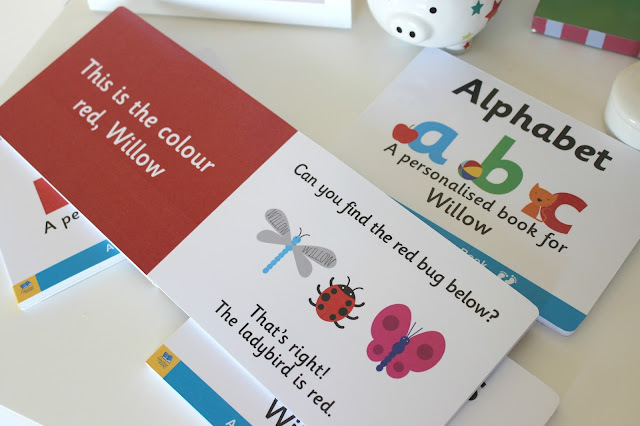 I am honestly thrilled with Willow's personalised board books and we already enjoy reading them together and pointing out all the different animals and objects inside. They are also just the right size for popping in your changing book for entertaining when out and about, as it's something that will keep your little ones occupied looking at all those colours and illustrations! They'd make a lovely gift for a new mama or for a baby shower. 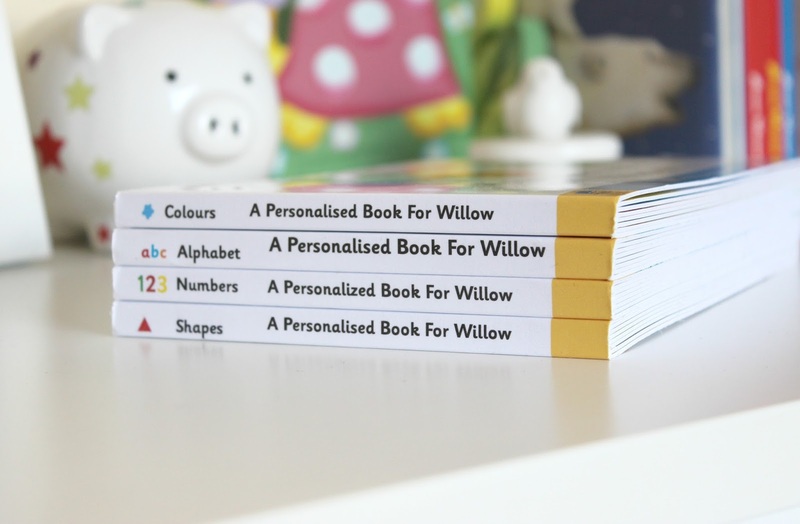 These personalised books are so much better than I expected and I'm so impressed, I think I may have to pick up the Peter Rabbit Personalised Little Book range for myself, which sound like fab fun reads! 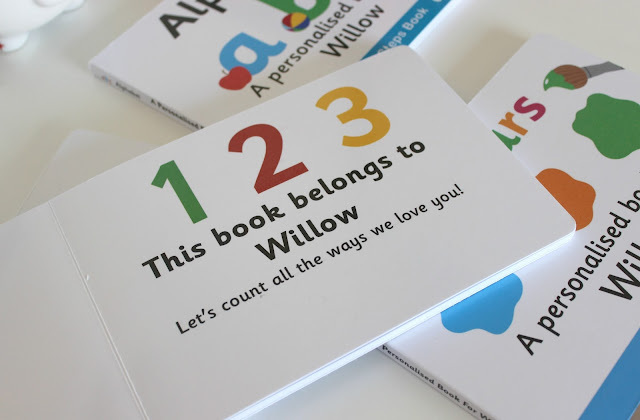 You can check out the full range of personalised books at I Just Love It.